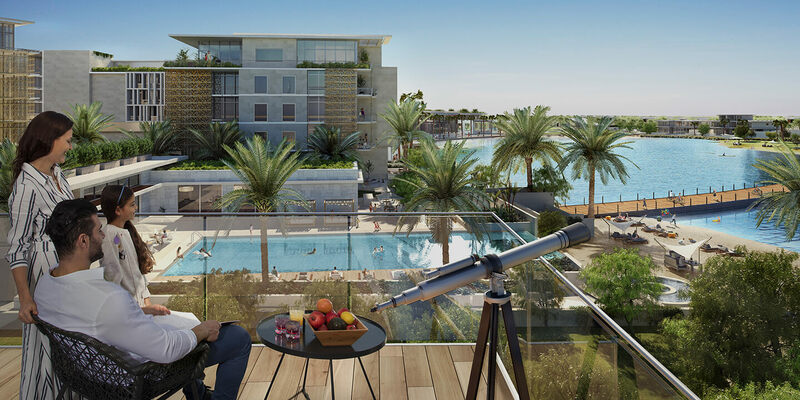 living crafted around wellbeing and human engagement, Lagoon Al Ghaf will bring a slice of tropical paradise to community residents’ doorstep. It will also provide a high degree of public access to the Crystal Lagoon area, one that is exclusive but is shared with neighbours and guests, creating a premier setting for special events. beach and 1.5 kilometres of waterfront promenade, it will offer a scenic outlook for The Hive, Club Hive and Hive Park, the community’s vibrant retail, dining and leisure hub. As well as swimming, the Crystal Lagoon will host a selection of active water sports, including kayaking and stand-up paddle-boarding. The Crystal Lagoons company estimates that its technology uses up to half the water needed to maintain a park of the same size, and up to 30 times less water than a standard golf course. Further enhancing Tilal Al Ghaf’s sustainability targets, the Crystal Lagoon will be filled and topped-up using groundwater. This will relieve pressure on the water table, which is rising in many of Dubai’s residential areas because of intensive irrigation for landscaping. “This is an eco-friendly and sustainable technology, setting a new standard for public space and leisure,” said Carlos Salas, Crystal Lagoons Regional Director Middle East and Asia. “We are able to transform any location into a beautiful beach paradise, and provide a unique amenity for the community to enjoy.” The first Crystal Lagoon opened in 2006 as part of the San Alfonso del Mar resort in Chile, and the company now has more than 600 projects in 60 countries worldwide in different stages of development and negotiation. 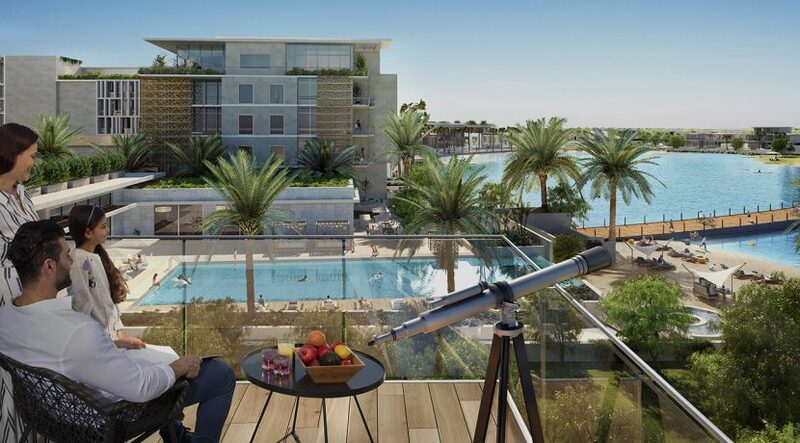 Majid Al Futtaim launched Tilal Al Ghaf, it’s new flagship mixed-use community in Dubai, during April. Spanning three million square metres at the intersection of Hessa Street and Sheikh Zayed Bin Hamdan Al Nahyan Street, near Dubai Sports City, Tilal Al Ghaf is a phased project that will include more than 6,500 freehold homes when complete by 2027, ranging from apartments, townhouses and bungalows, through to substantial luxury villas. As well as the leisure opportunities afforded by the Crystal Lagoon, around 355,000 square metres of landscaped open space will include green spaces and play areas, 18km of walkable trails and 11km of cycling paths. The public can explore plans for Tilal Al Ghaf in more detail by visiting the Majid Al Futtaim Experience Centre at Kempinski Hotel Mall of the Emirates.